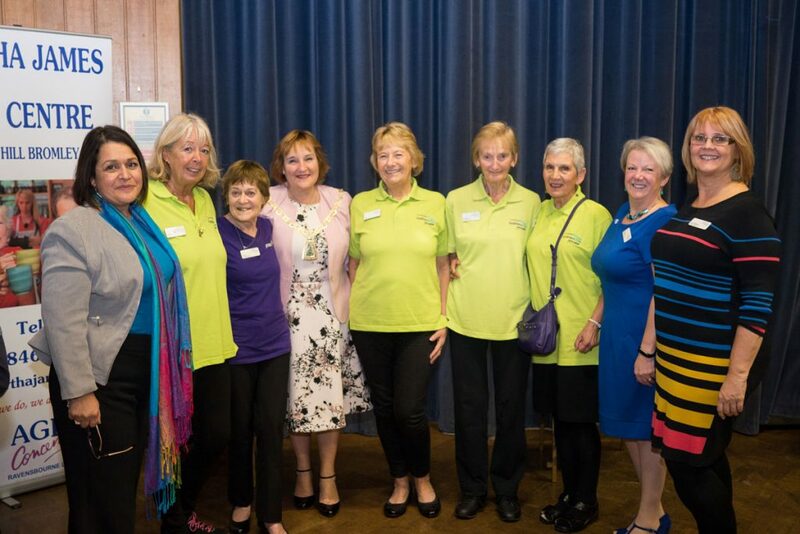 The Bromley Dementia Action Alliance (BDAA) is inviting local businesses in Bromley to a “Dementia Means Business” event as part of its third annual meeting. The event will take place on Tuesday 16th October 2018, 12pm – 2.30pm at Crofton Halls, Orpington, BR6 8PR. The BDAA is arranging a programme packed with information, advice and personal experience with keynote speaker, Emma Bould, author of the Dementia-Friendly Business Guide. To reserve a place book at Eventbrite and use password BDAA. The Memory Box Café for people living with dementia based in West Wickham now plans to run twice a month thanks to extra funds from the Co-op Local Community Fund. 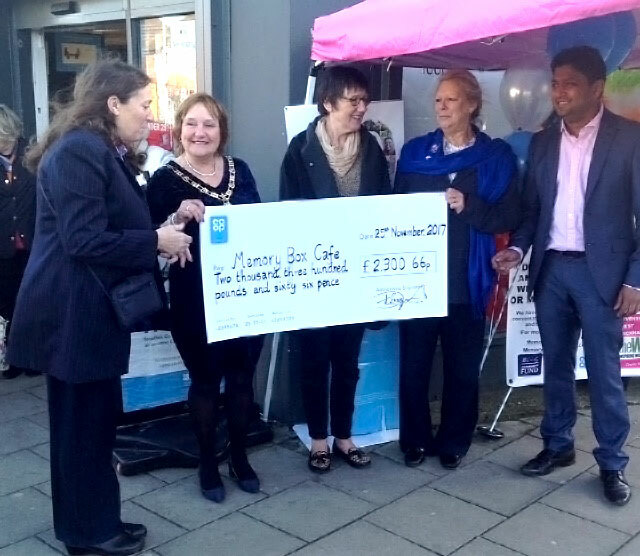 Bromley Mayor Councillor Kathy Bance, who visited Memory Box Dementia Café in November 2017, presented a cheque from the Co-op for £2,300.66 to Ravenswood (West Wickham) Women’s Institute (WI) outside the Co-op Food Store at Coney Hall on Saturday 25th November 2017. Ravenswood (West Wickham) WI runs Memory Box Café at the Emmanuel Church in The Grove, West Wickham. This money raised by Co-op Coney Hall, along with other fundraising, will allow the Cafe to run twice a month from February, on the first and third Friday of each month. The Memory Box Café is run by volunteers and, for the past 18 months, has provided free entertainment, information, fun and refreshments for people living with dementia and their carers. The project is part of Ravenswood (West Wickham) WI’s work to make West Wickham a dementia friendly community. 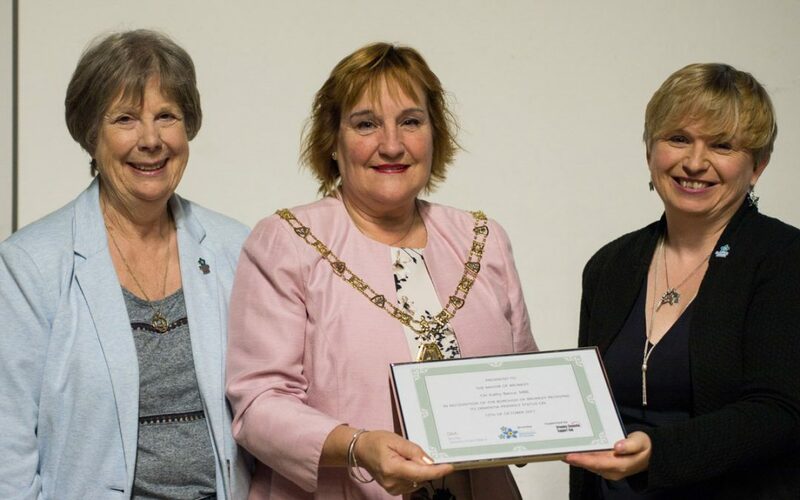 Bromley borough was officially recognised as working towards becoming a dementia friendly community at the Bromley Dementia Action Alliance (BDAA) Second Annual Meeting on Tuesday 17th October 2017. Dementia Friendly Communities is an Alzheimer’s Society programme to get everyone, from governments and large companies to local small businesses, schools and public services, share part of the responsibility so people with dementia feel understood, valued and can live and contribute to their community. Local communities have to meet certain criteria to show what they are doing to make their local community dementia friendly. Since October 2015, numerous charities, statutory and public services, care homes, shopping centres and other private companies have become members of the Bromley Dementia Action Alliance. Arts and science workshops, related to living with dementia. The work to make Bromley a dementia friendly community has continued with another virtual dementia experience in Bromley town centre on Monday 9th October 2017. People from the Emergency Services, Your Bromley, Age UK Bromley & Greenwich, local hospices and care homes, social workers, MyTime Active and the Mayor of Bromley had an eye-opening experience of what it may be like to have dementia on the Virtual Dementia Bus. Orpington continues to lead the way for local businesses making Bromley borough a dementia friendly community. Orpington 1st is encouraging more local businesses in and around Orpington High Street to become dementia friendly with the launch of the new, annual Clayton-Turner Award in 2018. This award will go to one of the local businesses signing up to the BDAA and taking action to become more dementia friendly. Bromley joined seven other London boroughs in being recognised as a local community working towards becoming more dementia friendly at the BDAA Innovation in Dementia Care event on 17th October 2017, held at the Bromley Civic Centre. Opening the event with Angela Clayton-Turner, Samantha Buckland of the BDAA, said that with Bromley borough’s recognition and award, London is well on the way to becoming dementia friendly by 2020, with other London boroughs showing interest and working towards establishing themselves as dementia friendly communities. Nikki Fishman, from the Bromley Dementia Support Hub, spoke about the role of the Hub in making it easier for Bromley residents diagnosed with dementia and their carers to access the support they need. held 75 one-to-one, home-based, coaching sessions for 143 carers, supporting them to care for family or friends with dementia. Lorraine McGlone cared for her husband, who had Alzheimer’s disease, for several years before he passed away. Lorraine shared how she saw her loving, well respected and professionally accomplished husband initially deteriorate slowly in his 50s. caring for someone with dementia is a mammoth task for family carers who all provide invaluable care, that would otherwise costs tens of thousands of pounds, out of love and compassion. Dementia ambassador and speaker, Keith Oliver, reiterated the point of remembering the human aspect of providing dementia support. A former Head Teacher, Keith was diagnosed with Alzheimer’s at 55 years old. After attempting to continue work, Keith decided to speak and write about his experience of dementia (including charities, health and social care professionals, and the United Nations (UN) Committee on Rights of Persons with Disabilities). Keith reminded the audience that everyone experiences dementia differently – there are things he did seven years ago when he was diagnosed, that he can’t do now. With the right support, people living with dementia can continue to live their lives and contribute valuable insights to our collective understanding of dementia. Keith also emphasised that dementia is more than just clinical symptoms and diagnosis. 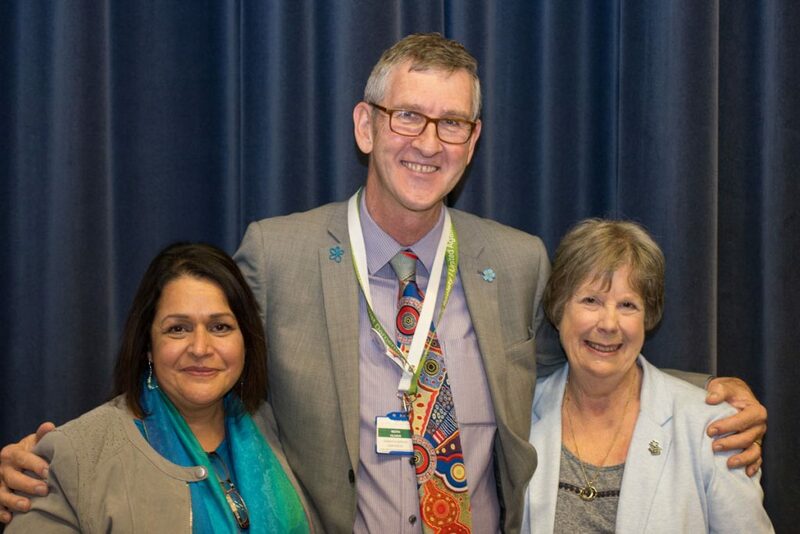 Keith asked dementia health and social care professionals to engage with the person beyond the dementia and to involve them – understanding the whole person, their history, identity, culture, personal traits – to provide the best possible dementia care. The Innovation in Dementia Care event was attended by Inspector Phyllis Rooney of the Bromley Metropolitan Police, sharing how they are using the Herbert Protocol. The Herbert Protocol consists of an official form to be completed in advanced of anyone with dementia potentially going missing. It can be used by family carers or professional care providers to provide up-to-date details of a person’s habits, places to visit etc, so they can be found as quickly as possible. Chris King and colleagues from MyTime Active shared how their leisure centres in Bromley borough have been becoming dementia friendly, providing dementia friendly buddies to support people with dementia to engage in activities at the centres, whilst family carers take a break from caring. Staff from Oxleas NHS Foundation Trust spoke about how the Occupational Therapy team support people with dementia to live in their own homes. Assistive Technologies have a role to play in this, using data and monitoring to ensure that people with dementia are staying active and healthy as possible. Answering questions from the the audience, Oxleas NHS Foundation did emphasise that Assistive Technologies should be just that – assistive. They should not replace or be a substitute for in-person care for people with dementia and technology should only be used as a supporting tool. In the afternoon, the Innovation in Dementia Care event was chaired by Angela Bhan, Chief Officer of NHS Bromley Clinical Commissioning Group (CCG). 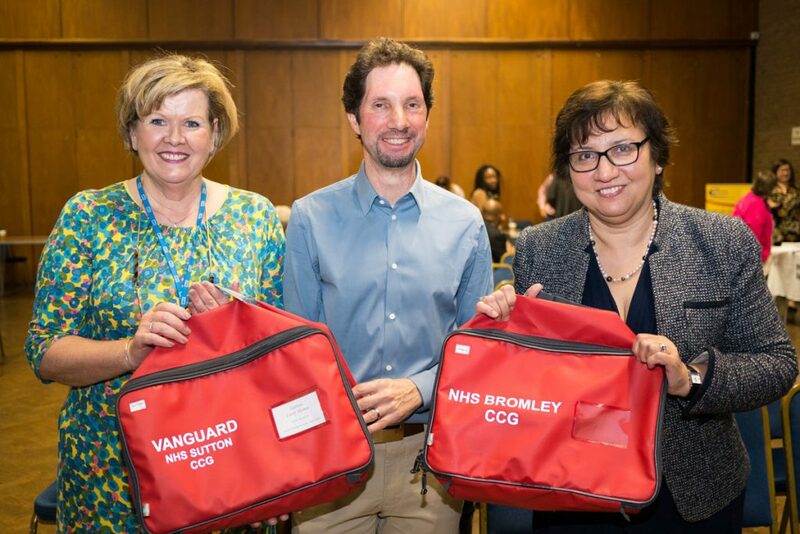 Christine Harger (Quality Assurance Manager at NHS Sutton CCG), and Don Shenker (Healthy Ageing Project Manager at South London Health Innovation Network) shared details of the Red Bag scheme, to help people living in Sutton care homes receive quick and effective treatment if they need to go into hospital in an emergency. When a care home resident needs to go into hospital, a red bag containing their personal belongings, personal details, information on health conditions, medication and a change of clothes is packed for them. The Red Bag also contains a “This Is Me” document which stays with the resident throughout their hospital stay and contains information on the individual’s preferences, likes, dislikes and interests. The Red Bag stays with the patient whilst they are in hospital and with all the necessary information included, the care home resident can be treated more effectively, quickly and with more dignity when they go into hospital. This new approach had led to older people spending less time in hospital – eight days on average, which is four days fewer than before the scheme started. 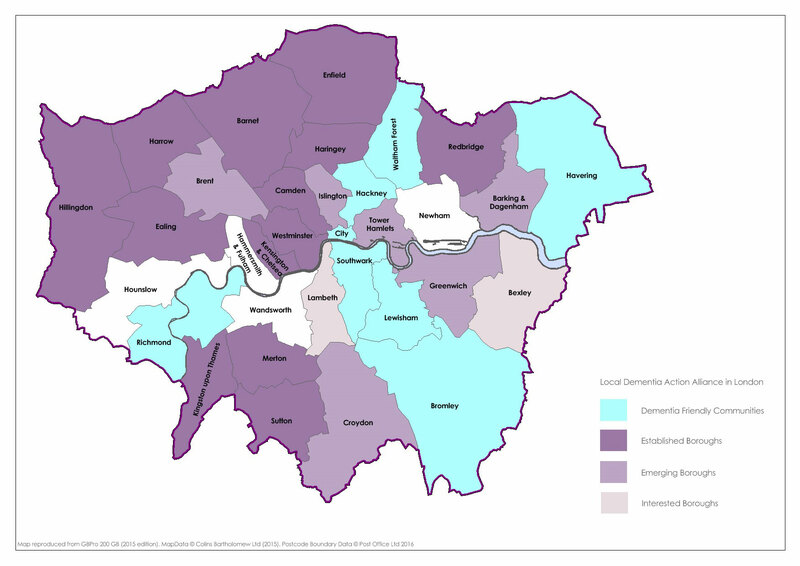 “Alzheimer’s Society has challenged the Mayor and all Londoners to help us make London the first dementia friendly capital city in the world by 2020. Organisations like the Bromley Dementia Action Alliance are doing just that. We are making brilliant progress in London with more and more communities having their work recognised as working towards becoming dementia friendly. We are celebrating all the work you have done, and events like this also help us hatch more plans for the future. There is a lot to celebrate and a lot to do! On a London level, we are working with transport organisations: Transport for London through their accessibility team, their bus driver communications department including with individual bus garages; we are working with community transport organisations across London, taxi companies and the London Taxi Drivers’ Association and, not forgetting, patient transport. We are also working with the Emergency Services on systems to help people with dementia, for example, the roll-out of the Herbert Protocol in boroughs where there is no other system to find people more quickly if they get lost and are living with dementia. We know that your Alliance is also working hard with these services to make their staff Dementia Friends. The Bromley Dementia Action Alliance (supported by the Bromley Dementia Support Hub) is holding its second annual meeting on Tuesday 17th October 2017, showcasing recent innovations in dementia support and how Bromley is becoming a dementia-friendly community. This free event is for family dementia carers and professionals and will be attended by the Mayor of Bromley, Cllr Kathy Bance MBE and guest speakers from the Bromley NHS Clinical Commissioning Group, local Metropolitan Police, Alzheimer’s Society, Oxleas NHS Foundation Trust and Mytime Active. Topics covered will include how assistive technologies can help people with dementia to live well, how they can stay safe in their own homes and local community and how local services are supporting people with dementia who live in care homes, when they have to go into hospital. As well as finding out about local dementia support services available at information stalls, people attending the event will also hear from a family carer, Lorraine McGlone, who cared for her husband with dementia. After his recent presentation to the United Nations (UN) Committee on Rights of Persons with Disabilities, dementia ambassador and speaker, Keith Oliver, who was diagnosed with Alzheimer’s disease at 55 years old, will also be speaking about his experience of living well with dementia. The Innovation in Dementia event will take place on Tuesday 17th October 2017, 10am to 3pm at the Great Hall, Civic Centre, Stockwell Close, Bromley BR1 3UH. There is no need to book a place at this free event – just turn up on the day. Care home and Sutton Ambulance professionals. If you do have any queries about the event, please contact Nikki Fishman at the Bromley Dementia Support Hub (020 8315 1885, nicola.fishman@dementiahub.org.uk). 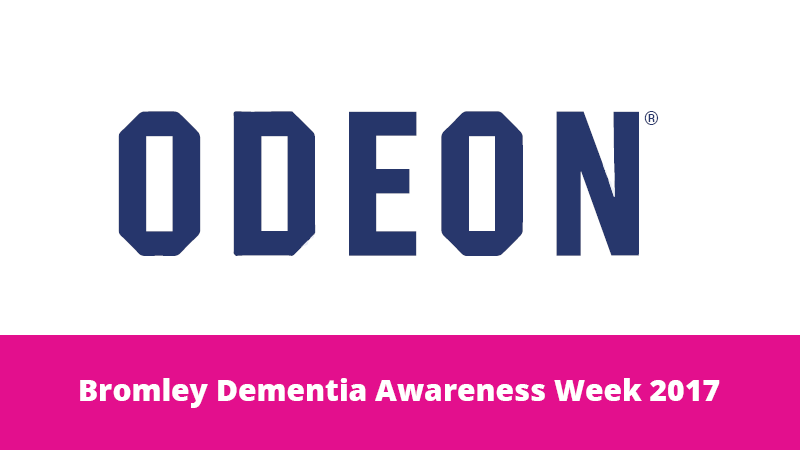 The Odeon cinema in Orpington will be hosting one of the first dementia friendly film screenings to be held in the country in Odeon Cinemas as part of Dementia Awareness Week 2017. Odeon in Orpington will be running a special screening especially for people with dementia and their carers, showing the 2008 hit film, Mamma Mia, at 11.30am on Tuesday 16th May. Sponsored by Orpington 1st, there will be free tea, coffee and biscuits before the screening, with tickets available on the day at a reduced price of £3 and carers go free. To make the film screening dementia friendly, the lights will be kept on at a low level during the film and the sound will be lower than usual. There will be no trailers or adverts before the film. There will be a 15 minute interval and allowance for more movement and noise than usual during the film. This is a great opportunity for people with dementia and their carers to spend some time together and create new memories together. Be sure to also pop along to Tesco Orpington on the same day, to find out about local dementia support services. 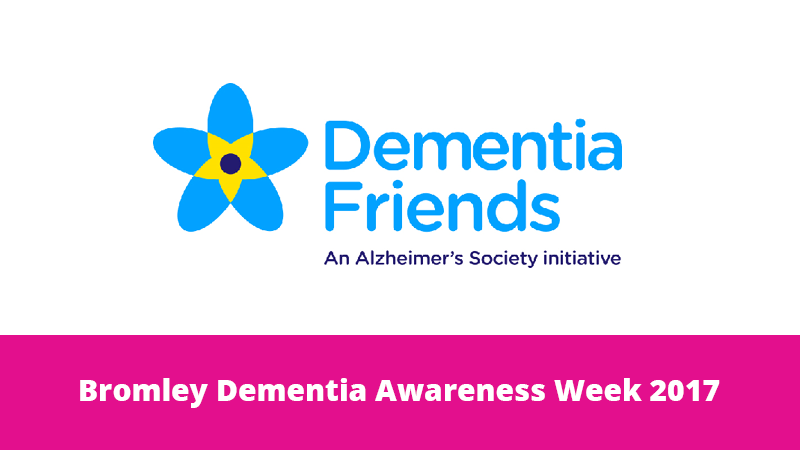 During Dementia Awareness Week 2017, there will be several free events for anyone living and working in Bromley to learn about dementia and to become a Dementia Friend. Participants can then turn that understanding into action: from telling your friends and family about it to being patient with someone you meet who has dementia. Anyone can become a Dementia Friend and help make Bromley a dementia friendly community. If you want to attend a Dementia Friend session in Bromley between 14th and 20th May, book your free place in advance or turn up on the day. More Dementia Awareness Week Events in Bromley.